Hanoi (VNA) – The 30th session of the 14th National Assembly (NA) Standing Committee will be held on January 10 in Hanoi, said a statement of the NA Office. 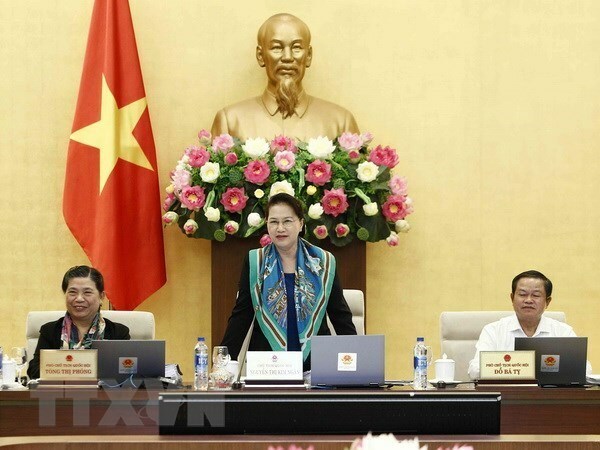 NA Chairwoman Nguyen Thi Kim Ngan and NA Vice Chairpersons will preside over discussions at the one-day session. Within the framework of the agenda, members of the committee will give ideas on a number of issues ofthe draft revised Law on Execution of Criminal Judgments, consider and decide the list of members of the national council for judge selection and supervision. They will define the adjustment of administrative borders of two communes in Hong Ngu district of the Mekong Delta province of Dong Thap, and the establishment of Thuong Thoi town of Hong Ngu district.